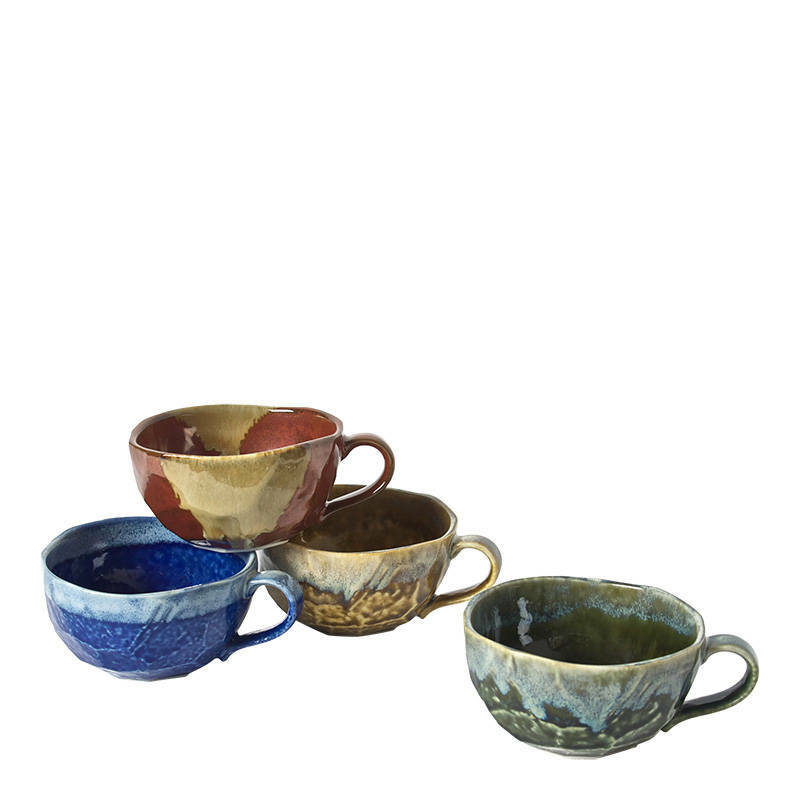 Our popular Boulder Mug transformed with jewel tone glazes. Set of four 12 oz. mugs in assorted glazes packaged in a black gift box.